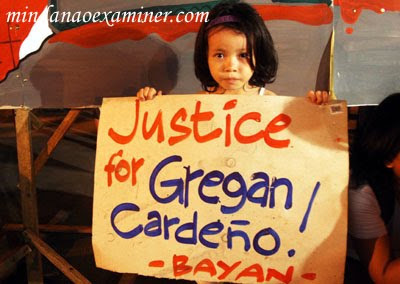 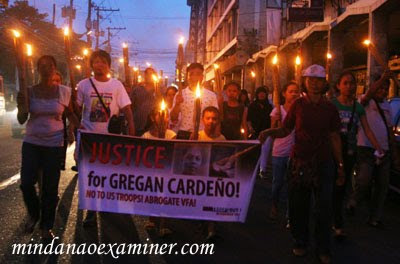 DAVAO CITY, Philippines (Mindanao Examiner / July 3, 2010) - Members of the Bagong Alyansang Makabayan stage a torch march Friday in Davao City in Mindanao Island in the southern Philippines to demand justice for Gregan Cardeno, a Filipino translator who was found dead February 2 inside his room at the US Joint Special Operation Task Force - Philippines military headquarters in Marawi City in Lanao del Sur province. 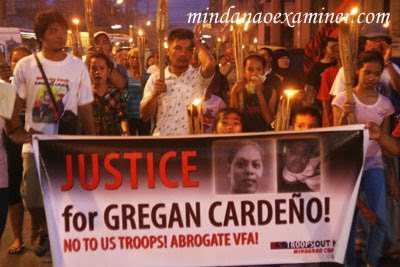 The group also demanded for the immediate pull-out of the US troops in the country. 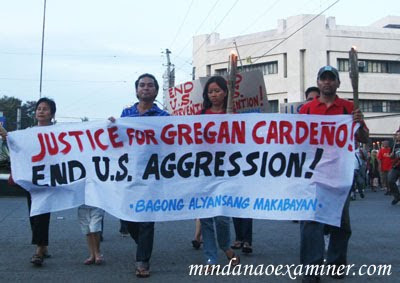 Cardeno allegedly committed suicide by hanging himself, but his family believes the 30-year translator for American soldiers deployed to help fight terrorism in the South was murdered. 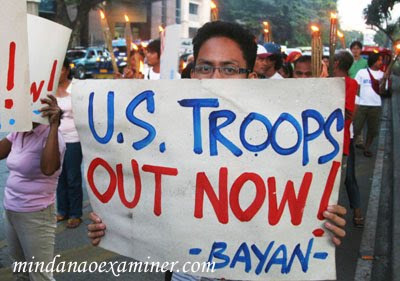 Political activists and various civil society organizations are calling for the pull out of US troops in the Philippines.